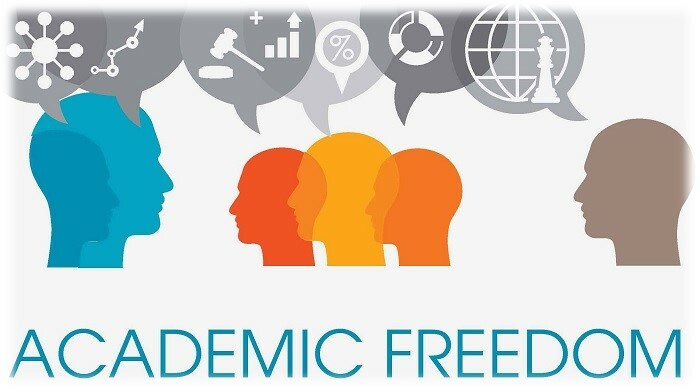 The academic community is global and it is diminished whenever or wherever there are attacks on academic freedom. The last global wave of democratization that overturned autocratic regimes in Asia, Latin America, Eastern Europe, and the former Soviet Union greatly expanded the reach of open academic debate and discussion. But those gains are now at risk as a number of political leaders who were initially elected to office have pursued authoritarian strategies of rule. Along with Russia, two of the most serious cases are Turkey and Hungary.In Turkey, the Erdogan government began in January 2016 to target scholars for signing a petition arguing for peace in Turkey’s Kurdish regions, but the repression intensified dramatically after the failed July coup attempt against the regime. Literally thousands of scholars have lost their positions and hundreds have been imprisoned including Professor Istar Gozaydin, a public intellectual who was previously Chair of the Sociology Department at Gediz University. While she was released after imprisonment for 100 days, she faces a trial in the fall on charges of belonging to a terrorist organization.Under a State of Emergency imposed after the July events and repeatedly renewed, the authorities are empowered to detain people for up to thirty days without the possibility of judicial review. Repression has also been directed at the press and opposition parties. In this climate of uncertainty and the arbitrary exercise of state power, those who have retained their academic positions are under pressure to avoid research topics that could threaten the regime in power. The website of the Middle East Studies Association provides up-to-date information on ways to support our colleagues in Turkey.In Hungary, the regime of Viktor Orban is engaged in a much more focused attack on academic freedom. The target is the Central European University that was founded by the Hungarian refugee philanthropist, George Soros. Hungary’s parliament passed a law stating that foreign universities are allowed to function in Hungary only if they have a campus in another country. Since the Central European University’s only campus is in Budapest, it would be blocked from enrolling any new students as of January 1, 2018.Orban draws on familiar anti-Semitic tropes to demonize Soros as a financial speculator whose philanthropy directed at creating open and democratic societies is threatening to traditional Hungarian values. Orban, in fact, openly proclaims his commitment to remaking Hungary as an “illiberal democracy”. Speculation is that the attack on CEU is designed to influence the parliamentary elections that are scheduled for next year by giving Orban’s party the chance to steal votes from the far-right Jobbik party. While the European Community and the U.S. government have exerted pressure on Hungary to relent, the threat of a forced closure hangs over the institution and obviously makes it difficult to recruit new students. The possibility is real that CEU’s faculty of 370 people, drawn from 130 countries, might be looking for new jobs when 2018 begins. However, the University has mobilized a broad campaign in its own defense including a march that brought out 80,000 Hungarians. The University maintains a website that provides regular updates on this struggle and provides information on where to direct letters of protest. Another important resource is Scholars at Risk , based at NYU, that provides advocacy and support for threatened scholars around the world. Founded in 1999, the organization is inspired by the efforts to save endangered European academics during the 1930’s and 1940’s. SAR offers temporary academic positions at member institutions for scholars who are under threat or who have been displaced and it also actively monitors threats to academic freedom around the world. These initiatives are highly deserving of our support.